If I Run by Terri Blackstock is an absolutely cracking Christian contemporary thriller. I read it with my heart racing and as the novel reached its conclusion, so my palms were sweating and I was literally on the edge of my seat. 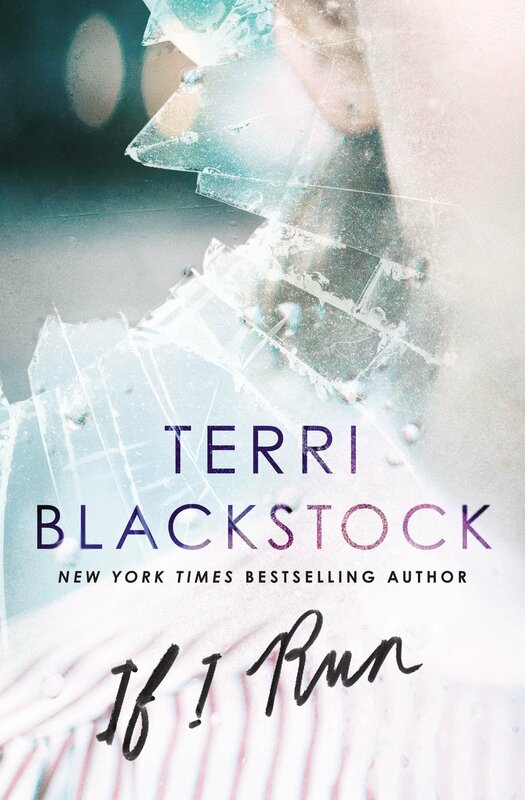 No one writes thrillers quite like Terri Blackstock. Her storylines are always unique and always thrilling. Casey’s father committed suicide when she was twelve years old. Casey found his body. Casey’s father was a good cop and full of life. Thirteen years have passed, Casey and her newspaper reporter friend Brent have been delving into what they believe is her father’s murder. As the novel opens, Casey is on the run, wanted for the murder of Brent. Dylan has known Brent since childhood. Brent’s parents hire Dylan to search for Casey. Dylan is a war veteran, used to looking for people. He has also seen two army buddies killed in war. Dylan and Casey both suffer from PTSD. They are both linked by their symptoms and are able to identify with each other, and therefore Dylan may be able to predict how Casey will act. Terri Blackstock sympathetically deals with PTSD which destroys lives. She reveals how sufferers have nightmares, suicidal thoughts and fears. Dylan believes in God but he needs a councillor to help him work through his fears. Terri Blackstock demonstrates that when people face tragedy, they can react in various ways. Casey’s mother has never recovered from losing her husband, as Dylan remarks “the vacuum in Mrs Cox’s life from her husband’s death resulted in her hoarding stuff to try to fill that hole.” Terri Blackstock recognises that people do have holes in their lives to fill. Ultimately there is only One who can fill that hole, and that is God. We all need Him in our lives. Faith permeates If I Run. Casey meets a delightful grandmother, Miss Lucy. She is close to God even though she is going through a tragedy herself. She keeps her eyes fixed on God. Casey questions Miss Lucy’s faith and is told “my faith is in Jesus, not in the way humans behave.” True faith must always be grounded in God. Casey believes in God but she does not have a relationship with Him. She doubts Him at times, saying “if there is a God, I wonder why He lets good girls go missing and good men die.” If I Run realistically portrays doubts. We all have them. However in times of real need Casey does pray to God, even though she is not sure He is listening. The novel deals with corruption and pure evil. Terri Blackstock shows that people are not always who they seem on the surface. Life is also much more than what we can see. Life is a spiritual battle and at times the only thing we can do is to call on God for His help in defeating evil. If I Run is written in the first person from both Casey and Dylan’s viewpoints. As a reader it is good to get inside both of their heads and to see the action from differing points of view and to hear their thoughts. They are both likeable characters whose motives are pure and good. I have yet to read a novel by Terri Blackstock that has been anything other than totally fabulous. I cannot wait for the next book in what I hope is a long series! Exciting, thrilling, nail biting action that will keep you guessing, as well as a strong dose of faith. I can highly recommend If I Run.